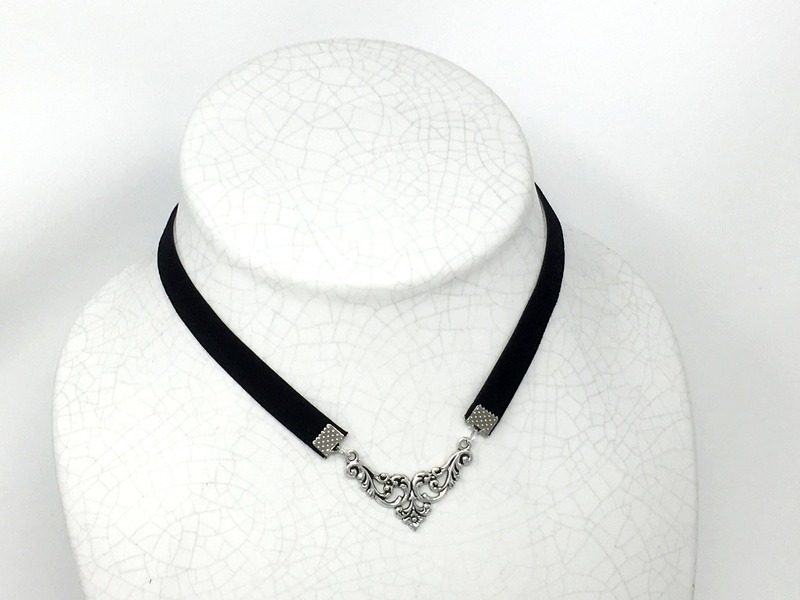 This beautiful stretch velvet choker is designed in the victorian style. Styled to sit at your collarbone and accentuate your neckline. 12 inches with 4 inch extender chain. Bought this for my daughter and she loves it... she has a small neck so its not quite a choker on her but still looks beautiful. Love it! It falls really well around the neck and is made of really nice materials. Great quality for a good price!